2019 year marks the tenth ALL DIGITAL Week, which started in 2010 from digital inclusion and bringing people online and has grown into a major digital empowerment campaign, supported by governments, businesses, academia and civil society. At large the campaign encourages Europeans to take active steps towards understanding digital transformation and benefiting from it by developing an adaptive mindset and lifelong learning approach in our ever-changing and increasingly digital world. This is done through thousands of activities covering the full range of digital skills from basic digital and media literacy to cybersecurity, robotics and Internet of Things. This year ALL DIGITAL Week is held under the patronage of Mr Tibor Navracsics, Member of the European Commission and supported by Liberty Global, Certiport and Google Europe. It is run in partnership with major European organisations: Lifelong Learning Platform, European Schoolnet, Europeana, Public Libraries 2030, CEPIS, European Banking Federation, Digital SME Alliance, European Cybercrime Centre of Europol. Indeed, ALL DIGITAL Week is a big multi-stakeholder multi-sectoral initiative celebrating digital! Our national partners lead the campaign activities in their countries, and all the events are run by thousands of local organisations – digital competence centres, libraries, schools, universities, community centres, governments and agencies – and we salute our digital champions! The week has started with over 800 events for 60,000 participants who will be involved in training, seminars, workshops, conferences and other initiatives brought by over 1500 partner organisations in 29 European countries. This is just the beginning, more events are added daily – keep an eye on the map of events! 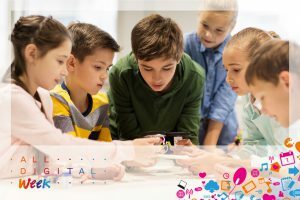 Media Education Centre in Serbia will hold a series of Media Literacy workshops in different parts of Serbia as a part of the national campaign about the importance of the creation of the new digital tools for development of the Global Citizenship Education and Education for Sustainable Development in Serbia. Centro Studi Citta di Foligno (CSF) for the first time will lead the campaign in the Umbria region of Italy. Each day of the campaign will be devoted to a specific target group – schools, local authorities, SMEs, industry – and will include a thematic workshop for them and a round table discussion for social sector on how better serve this groups. Prodigy Learning’s campaign in Ireland and UK involves around 100 Testing Centres that will run Test Fest’s across ALL DIGITAL Week, where they open up their testing lab and offer MOS and MCE Certification Exams for free to all candidates. Running a day/ week of Test Fests gives all learners the opportunity to test their digital skills and earn globally, industry-recognised certification from Microsoft. 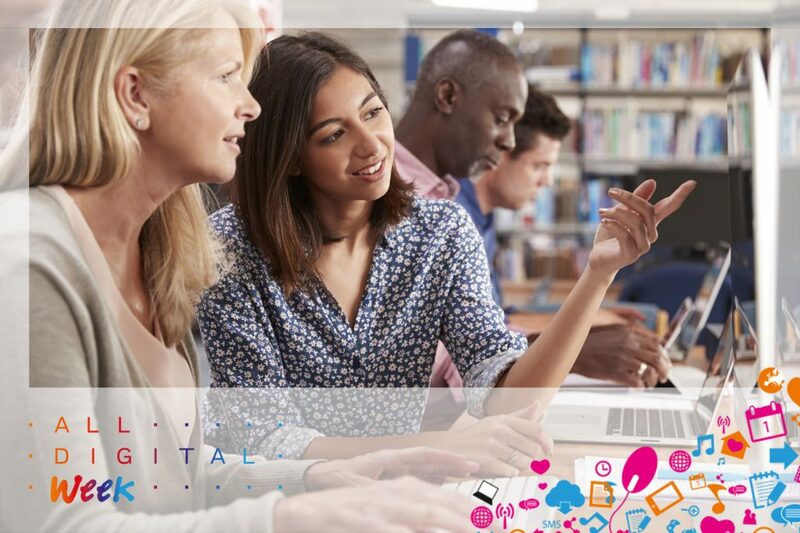 Upskill Digital in the UK has over 30 training events, workshops and one-to-one mentoring sessions in G Suite, Digital Marketing, Employability Skills, Data & Analytics, and Cybersecurity. In London, the Google Digital Garage Bus is traveling to all 32 boroughs, providing digital skills and mentoring for job seekers and small business owners. For the first time, ALL DIGITAL Week comes to Armenia and is led by STEM Society in partnership with Safer Internet Armenia Programme. Events and training activities will enable young people and adults learn new digital skills and practice their creativity, critical thinking, and communication skills. They will empower young people with a wide set of skills to understand and protect their safety and privacy online, know how to use, create and share online content in a responsible manner. Want to know more about what is happening in various countries? Check the PARTNERS section and also browse through EVENTS on the ALL DIGITAL Week map. 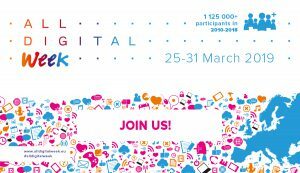 Keep an eye on our website and follow us on Facebook and Twitter @AllDigitalEU and check #alldigitalweek.